In December, Kilwaughter launched a soil health blog in conjunction with World Soil Day, a United Nations led campaign which highlights the importance of healthy soil and the role it plays in society. Given the importance soil health plays on the profitability of your farm, we would like to draw attention to some of the issues being faced by farmers in the UK and ROI. In last months blog, we highlighted soil analysis as the best place to start when addressing issues of soil health. You cannot get to where you are going if you do not know where you are at! 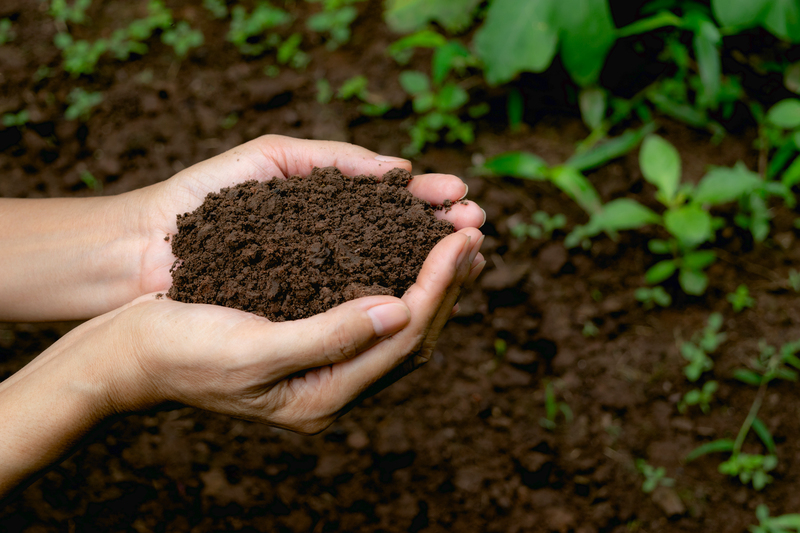 Soil analysis in its own right is a simple theory, however, it needs to be considered what type of analysis you require in order to make informed decisions. Often, a basic soil analysis of Phosphorus (P), Potassium (K), Magnesium (Mg) and pH is a good beginning point and can help farmers to focus their efforts on balancing these elements on a field by field basis. In today’s blog, we will focus on Phosphorus (P) and what it means on your farm. Phosphorus is very important to plant growth, playing a role in root development, stem strength, flower and seed production, improved crop quality and providing resistance to disease. Soil testing for P, measures the amount of available P in the soil and is expressed in milligrams of P available in 1 litre of soil solution (mg/L). In the UK and ROI, the mg/L measure of P is then expressed on a soil test report in terms of an index (below) or the likelihood of a crop response to additional applied P.
For a soil test report in the Republic of Ireland, a P index of 1 or 2 means that there is a definite or likely response to added P, while an index of 3 is considered optimal and an index of 4 is considered high. For a soil test report in the United Kingdom, a P index of 0 or 1 means there is a definite or likely response to added P, while an index of 2 is considered optimal, with an index of 3 or above is considered high to excessive. Where a soil test indicates a likely response to applied P, care should be taken to evaluate what form of P is to be added to the soil, whether organic or chemical in nature, what crop is to be grown and subsequent amount of P removal that crop will have on the soil. A long-term plan should then be put in place with the objective of building the soil test P index to target level over a period of 5 – 15 years. Where a soil test indicates adequate levels of P, care should be taken to only apply enough nutrient to maintain current levels. In the case of high or excessive soil test results, additional P should not be added at all. For help in interpreting your soil test results, consider consulting a qualified agronomist who can help you balance your nutrient distribution and help you to set a long term plan.